2015 is here! The new semester has already started, we are 4 months away from being parents for the first time, and we are still traveling 2 hours down the mountain every weekend to minister in Chilete. Our schedule is full, but God has continued to give us the grace necessary to do what He calls us to do. Thank you all for continuing to remember us in prayer. It is greatly appreciated! 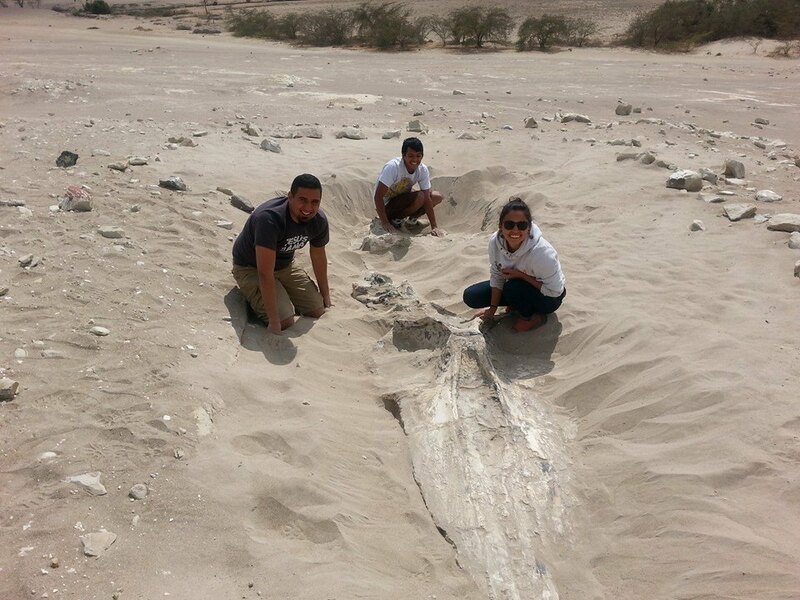 We have now been in Peru for over a year, and it is pretty amazing to look back and see all that has happened. When we first arrived Danielle spoke no Spanish, and mine was very limited, I burned up my computer and charger because I didn’t understand the different electricity voltage here, we couldn’t call anywhere or go to the doctors without a lot of help. In reality we were like fish out of water, just struggling to get acclimated. A year later we are having doctor visits in Spanish on our own as we get ready to have our first child in Peru. We are ministering in a Spanish only church, and I am even teaching in Spanish. Little by little we are becoming more and more comfortable in South America, and we can see how faithful God has been to us along the way. We have had our share of difficulties and frustrations with language, culture, and other things, but God has taught us more and more to trust Him and depend on His grace daily. The grace of God has held us up, and kept us going when we could not. I think learning to live daily by the grace of God has been the most important lesson we have learned in our first year. So, now 2015 is here with all the new promise and excitement, as well as new challenges. There are times when we are cast down, but the Bible says hope in God. When we remember He is on the throne and His plan is perfect, we have exactly that. Tangible hope in our all-powerful, yet intimate, God. – The semester has started and I am taking my final 3 classes of Bible College before graduation in May. Bill Holdridge is here as the interim Director while John and Pilar take a working Sabbatical in Germany. I am taking both Genesis and Theology with Bill and the classes have been excellent. We have grown so much at Bible College, but we are looking forward to graduation and the next season of our lives. – I am also teaching my first Bible College class this semester: The book of Nehemiah. Nehemiah has long been one of my favorite books in the Bible, and I can remember holing up in my office back in California and just pouring over the life of Nehemiah. We had our first class last week, and I absolutely loved it. There are 17 students taking the class: Peruvian, American, and Brazilian. Please be in prayer that God uses the class to shape us more and more into people and leaders of God. – We are continuing to minister in Chilete, taking teams there very weekend and holding both Sunday school and Bible studies. 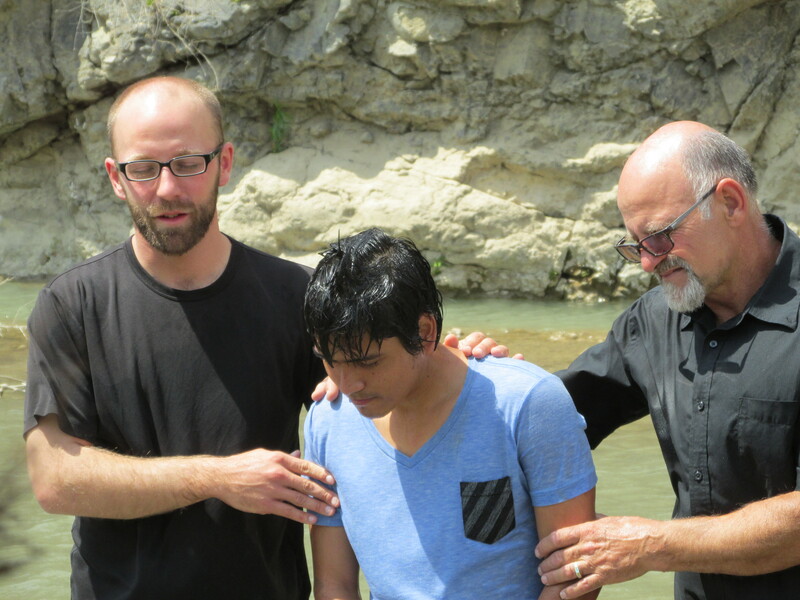 We had two teenagers at the Bible College for Youth Summer of Missions last month, and I think the Lord really used it in their lives. We also have a young women from Brazil here getting to graduate the Bible College in May, but also staying to help throughout 2015. God is so faithful! – We also are very excited that a team from CC Fort Bragg and CC Ukiah will be here in May to help with the construction project at the Bible College as well as the outreach in Chilete. A couple of guys we really love will be on the team as well (That would be our dads). We can’t wait for the team to come. They are going to be a blessing and a refreshment for all. – Finally, we are going to graduate in May, have the baby in June, do all the citizenship paperwork in July, and hopefully come back to the states for a time in late July/Early August. It is hard to put into words what our time in South America has meant to us, and what it has taught us. We are excited to finish this season well, see our families, and then continue in the work God has for us here. – Please pray for Danielle and baby Abigail. That they would both be healthy and that we would have a healthy delivery. We believe we have a good doctor and the costs are very reasonable, but everything is a bit of an unknown. – Also pray for our workload as we are studying, teaching, traveling, and ministering every week. The load can be tiresome, but we are finding Jesus in the middle of it all, and HIs grace is sufficient for us. – Please pray for wisdom and vision as we close out our time as Bible College students, and prepare for full-time missionary work in South America. We are trying to take things one day at a time and be faithful to what we have right in front us, while planning for the future as well. God is good to those who patiently wait on Him. – Please continue to pray for the construction at the Bible College. We are making a lot of progress currently as we have a second floor in our main building now. Praise the Lord we have several teams coming to help, and the Lord continues to provide for all our needs! Thank you so much for keeping up with us, and thank you again for your prayers. Until next time! Christmas season is upon us, and Danielle and I can hardly believe this is our second straight Christmas in South America. 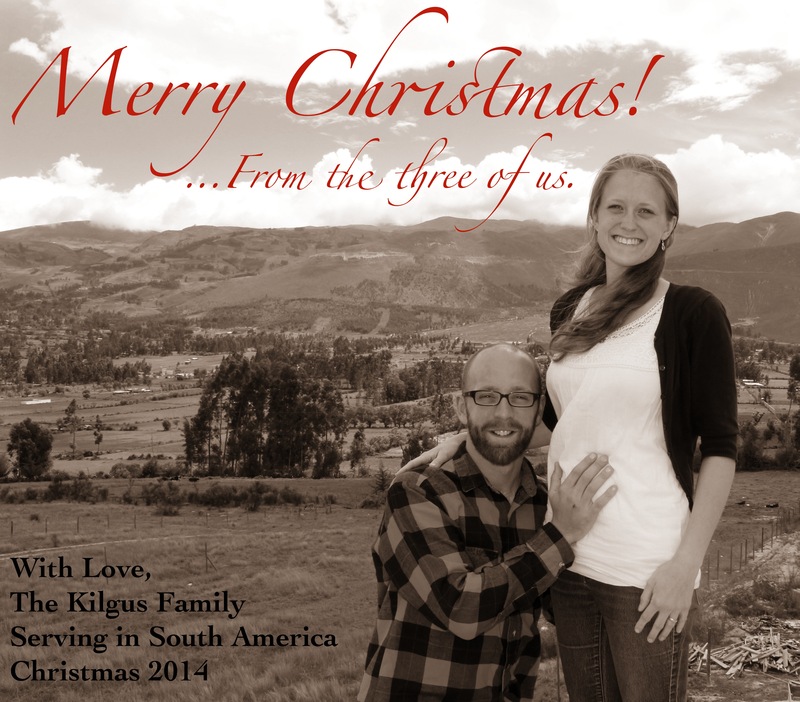 We recently celebrated our first year in South America, and we are looking forward to what year two holds for us. We want to say thank you for all your prayers for us, the church in Chilete, and the Bible College. We have several praise reports, recent news, and some prayer requests since we sent out the last update. First of all, Danielle and I went to see the doctor today. Our baby is about 3 1/2 inches long and very healthy. Also, Danielle is into her second trimester and has been feeling much better. We are still planning on having the baby here in Cajamarca, and we are figuring out the dual citizenship and embassy process. Thank you for praying! 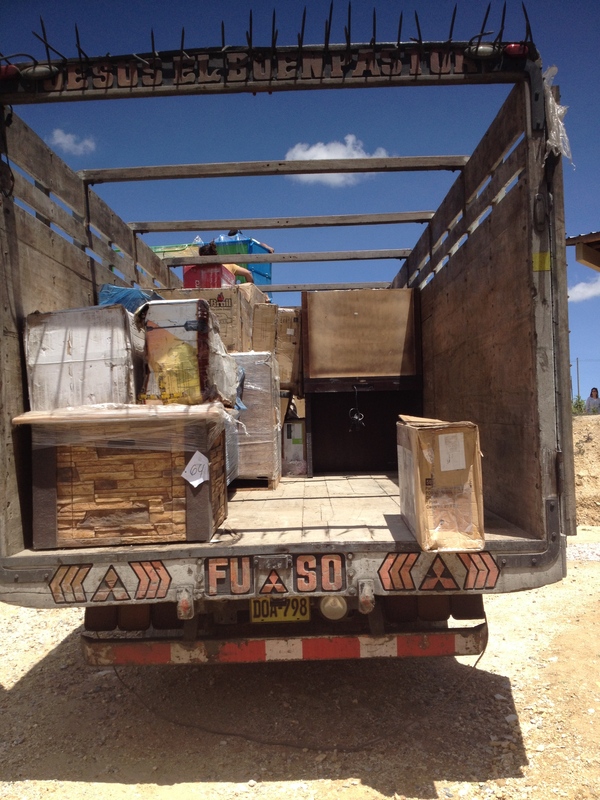 Secondly, a large container of supplies and materials was sent from Florida to the Bible College here in Peru several months ago, and after much work and patience we finally received the contents last week. Getting the approval of the Peruvian government was very trying, but the container was finally released and we praise God for His provision and answer to prayer. Again, thank you for praying. Third, the church in Chilete is continuing on. I went to a Lima for a conference last month, and the group that took over for a weekend did an amazing job. I was actually able to make it back to Chilete for the service and see the different young people from the Bible College minister in different ways. The teaching and worship was excellent, and the sunday school was run well as usual. Now, all of the students here at the Bible College are either on Christmas break or have returned to the United States, but we have been so blessed by the faithful servants who have helped us so much in Chilete. 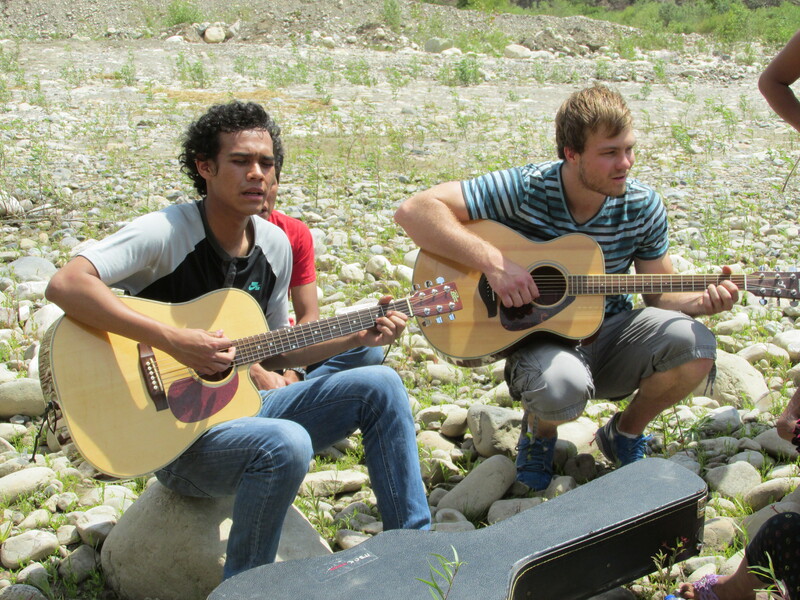 One of the most rewarding parts of the ministry at La Cosecha is seeing young people grow in the Lord, and to be able to watch them learn ministry and serve faithfully. Last week, I traveled to Chilete on my own as the journey is still difficult for Danielle, and I had a great time with the kids. It was so cool to see different children see the needs of the church and start helping. I had 9 and 10 year olds wanting to prepare the sunday school worksheets, help me wash dishes, set up chairs, and more. I didn’t say a word, and our little church was operating beautifully and many children got to hear the words of Jesus. God is good! This week we are preparing to a traditional Peruvian chocolate and cake celebration for Christmas. 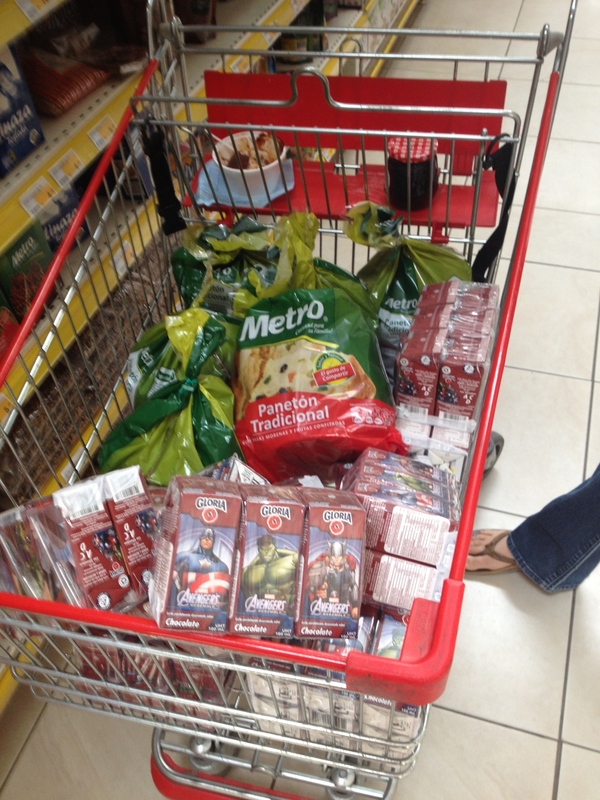 We will have chocolate milk (Instead of hot chocolate because it is really warm in Chilete, and we don’t have a stove to make the normal hot chocolate) and the Peruvian Christmas Cake, Panatone. Please be praying that many families will be ministered to, and that God will be glorified. Finally, Danielle and I are really missing our family and friends back in the States and all over the world, but we are very blessed to be spending Christmas with the Bonners and Bauers here in Cajamarca. Our apartment is becoming more and more homey as we continue to work on it and add things. Today Danielle actually put up some Christmas lights, and thanks to the container arriving, we now have couches and a bookshelf. Praise the Lord! We are also really looking forward to the team coming from CC Fort Bragg and Ukiah. Lord willing, Danielle and I will get to see both of our dads, one of our littles sisters, and several other people we really love. Not to mention the blessing the team will be to the Bible College and the church in Chilete. We can’t wait, and please be praying! Thank you all for your support and prayers. We are so blessed by how faithful God has been to us, and the amazing family in Christ He has given us. Please continue to pray for our growing family, the ministry in Chilete (especially with almost all of our help no longer here), protection over the Bible College (there are only seven us here now, and robberies are very common around Christmas), the class of Nehemiah I will be teaching next semester, and the ongoing construction project here at the Bible College. Thank you all so much! 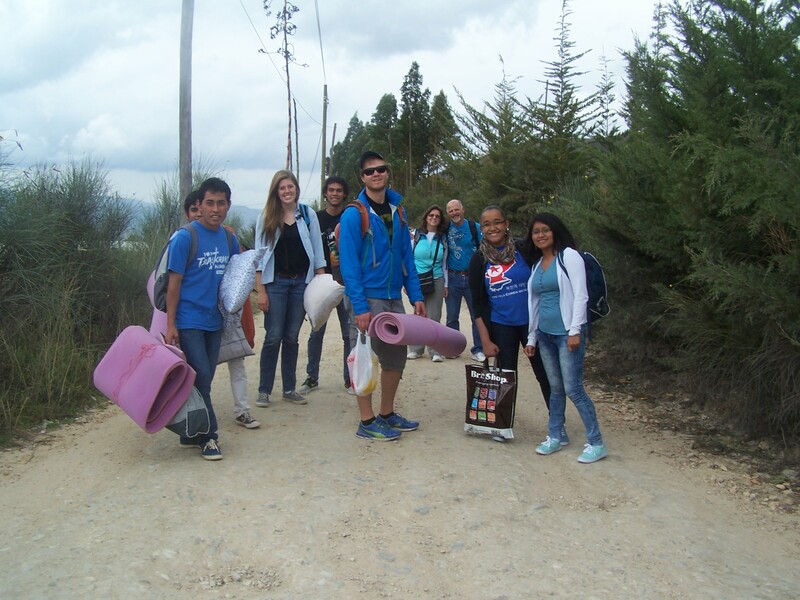 It has been a little while since we wrote something for an update, but we are very blessed here in Peru and we are getting more and more accustomed to life in Peru. Danielle and I are in our own little apartment now, and continuing with classes, construction, and Chilete.The construction project and classes are continuing on day by day. Right now we have Doug Bennett teaching a creationism class and it is amazing. He is a scientist and geologist who is currently working on creating a creation museum in the Pacific Northwest. 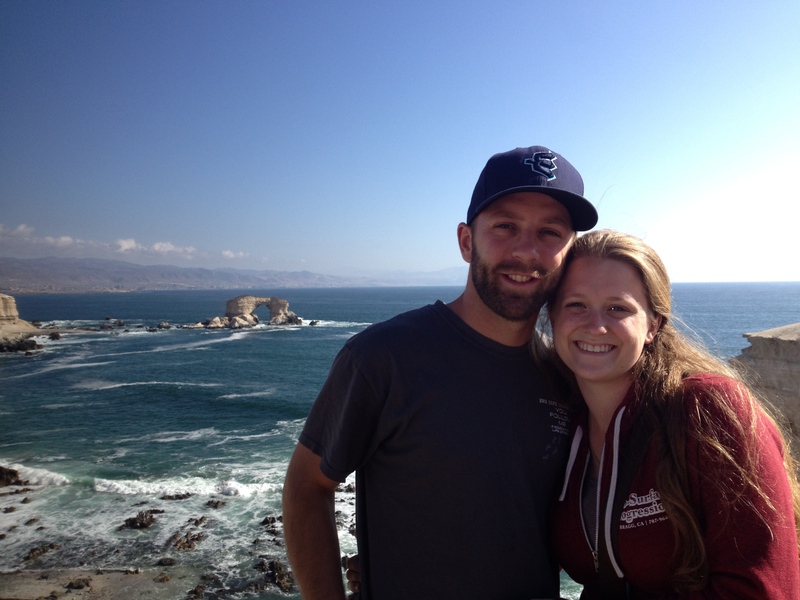 Danielle and I are closing in on our 1 year anniversary in South America! Amazing how time flies. I am almost done with my third semester as a student, and am looking forward to my final semester as well as teaching the book of Nehemiah at the Bible College. Your prayers are appreciated! We are also continuing the ministry and church plant in Chilete. We travel about 3 hours each way every sunday to have service and sunday school. 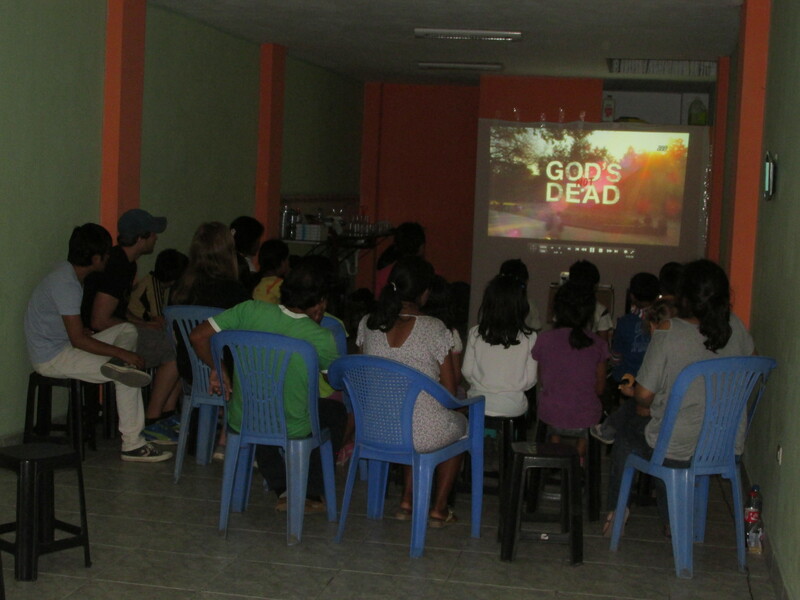 A week ago we had an outreach movie night, followed by Sunday service and our first baptism. We arrived in Chilete around midday and after a time of prayer, we went into the city inviting people to the movie and sharing the gospel. We had an amazing group of about 15 people, and the people of Chilete were very open to the gospel message. Please pray the seeds planted would bear fruit. Later that night we showed the movie “Dios No Esta Muerto” and had a good turn out from the town, and many people coming by with curiosity. After the movie, we were able to share God’s message of salvation and pray for the people. God was glorified! The next day we set up for service, and after working out all the details we walked about 20 minutes to the near by river in Chilete. It turned out the only person who would get baptized was our brother, David, from the Bible College, but we celebrated what the Lord has done is his heart and had a great time as a family. Thank you for all your prayers for Chilete!! 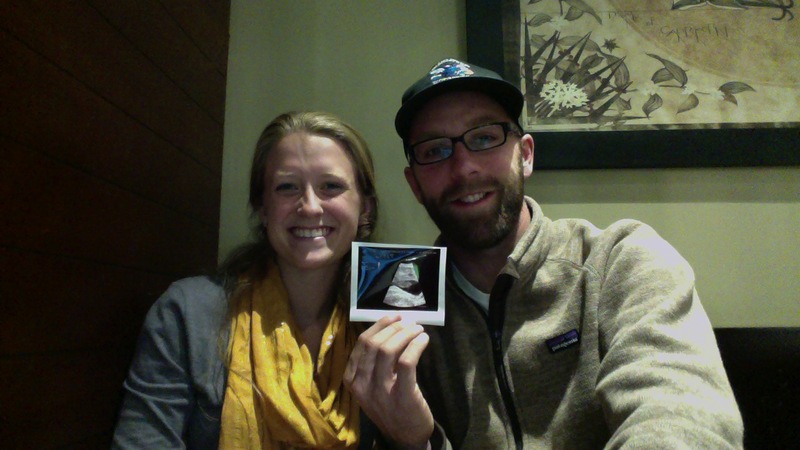 Oh, one more thing… We are having a baby!!! Danielle and I went to the doctor with Bonner’s last weekend, and received the wonderful news that we have a healthy 8-week old baby on the way! We got to hear the little heart beat, and could not be more thankful or happy! Danielle and I have been praying and waiting for a long time, and we are so excited the time has finally come to add a little baby to our family. Please pray for Danielle and the baby’s health, for the right doctors (we are having the baby here in Peru, and think we have a good doctor), for citizenship in both countries, and for the Lord’s provision in it all. Thank you! Thank you again for all your prayers and support. Life is not always easy on the mission field, but we are always blessed. 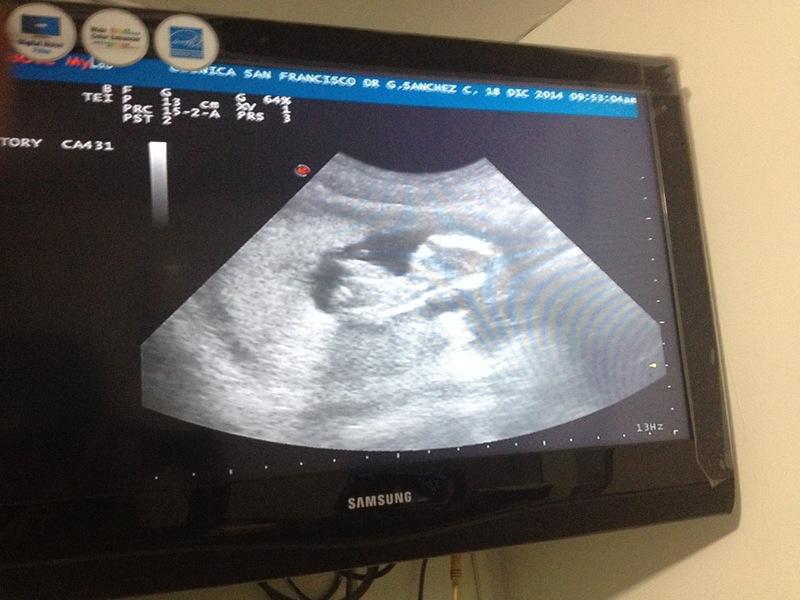 Right now our plan is to have the baby here in Peru and then return in the summer of 2015, and prepare to move to Chilete full-time a couple months after. We love you and miss you all, and are praying for you as well. Thank you so much, and may God bless you! God bless you all, and please be praying for the Bible College! Also, if you wouldn’t mind praying for me that would be greatly appreciated. I will be teaching my first Bible College class, and actually I will be teaching Nehemiah in two separate classes: One in English, and one in Spanish. It will be a big challenge, but by the grace of God we are hoping for the best. Thank you! Hi everyone! It’s been a little while since our last update, and we have been very busy and very blessed. We are beginning to feel more at home in the mountains of Peru, and what once seemed very foreign just seems normal now. We have been blessed studying the Bible and serving here at the Bible College, and we love the group of people we get to live around. The community and living on campus as a family is really a blessing, and is very different than the states. We love seeing the construction come along, and watching the Lord provide day by day. One of the highlights of the semester has been our mission trips to a small town of a few thousand people, called Chilete. We have had kids festivals, music outreaches, movies, and dramas; and the response we have seen has been amazing. God has really been working in this little town. 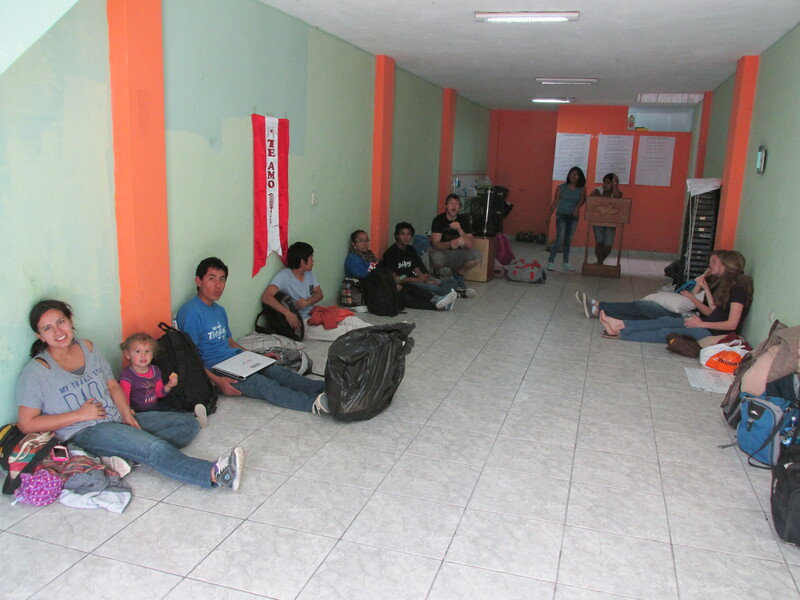 We had close to 50 kids show up at our last festival, and more people received the Lord in our last trip. 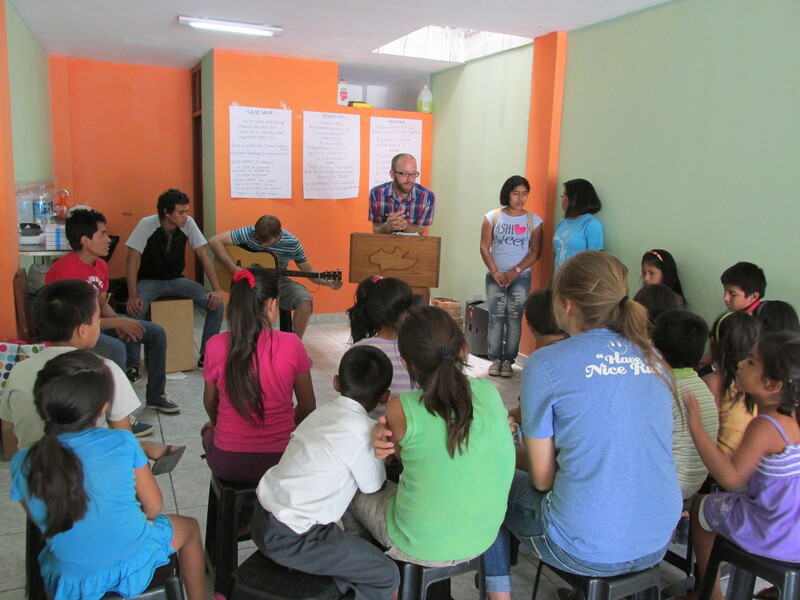 We are continuing to pray for the work in Chilete, and we will be heading back May 17th. As a Bible College and church, we are hoping to plant a church there in the near future. I want to share one of the sweetest moments we’ve have had here in Peru. During our last trip to Chilete we did several dramas that portray the gospel. I was chosen to be Jesus (I’m the only one with a beard lol), and they were all really a blessing. 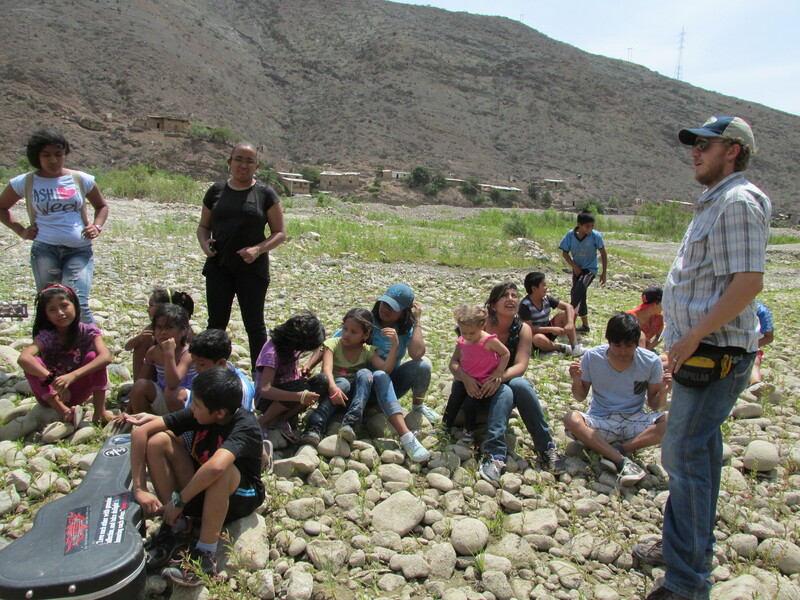 We had a big group of kids and adults watching, and it seemed to make impact. During one of the skits we portrayed the crucifixion with my hands and feet being nailed, and a Roman soldier piercing my side. After the play we had a lot of kids running around, and we were playing with them and loving on them. Then one cute little girl came up to me. She was probably about 9 and a little shy, but she wanted to talk to me. I got down a little closer to hear because she was speaking in Spanish and very quietly. She then pointed to my hands and to my side, and asked me, “Did they really do that to Jesus?” I answered yes. She wanted to why know why. I got to tell her about how much God loves her, and that He sent His Son to die for her. We talked for a little while and when I asked her if she understood she nodded yes. When we were finished talking, I gave her a big hug and she walked away smiling. After she left, I thought this why Danielle and I are here. To love the people we meet and share the love of Christ to them. It was just a few minutes, but it was something I will never forget, and I hope the little girl remembers it for the rest of her life as well. 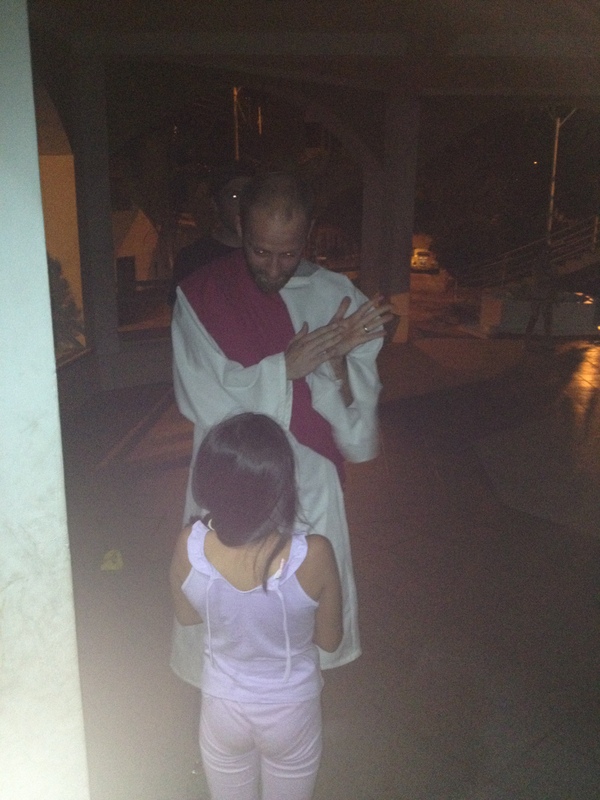 To have a little girl want to know about the pierced hands and feet was beyond sweet. Danielle and I were so thankful to be able to tell her about Jesus, and we keep all of Chilete in our prayers. Well, I hope you were blessed, and thank you for keeping up with and praying for. We miss everyone back in the states very much, and you are in our prayers as well. Until next time. God bless you all!